* Main Master Calendar to X OFF & Track Completed Workouts. 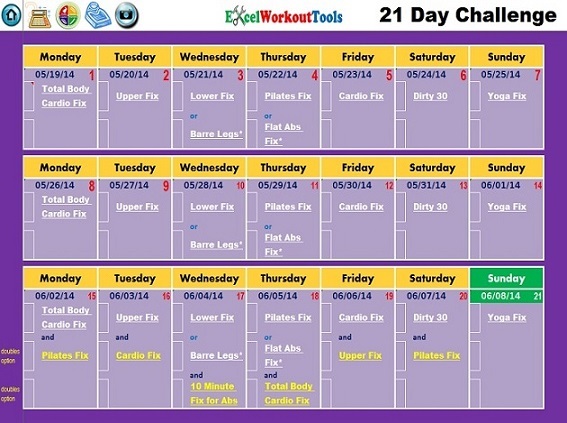 This Super Excel Workout Tool, Will Help You Have Great Success With This Fabulous Program. Spread the word about it and earn 35.00% of the purchase price on sales you refer.